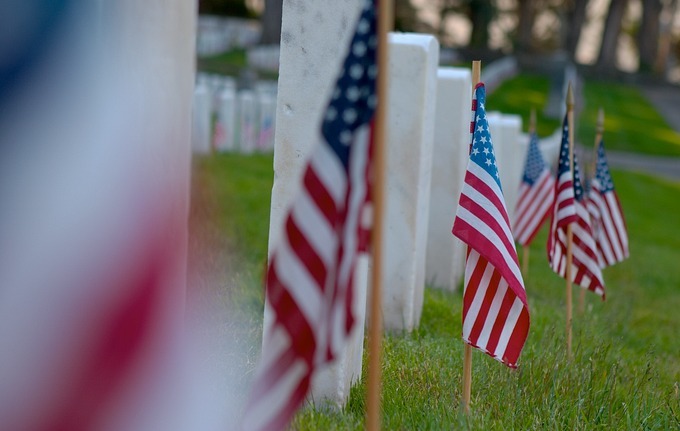 Memorial Day, a federal holiday, is a day where the armed forces of the country are recognised and especially those who have paid the ultimate sacrifice in the defence of the country. Memorial Day also marks the unofficial beginning of summer. People celebrate by having backyard bar-be-cues and most of all go shopping for the great memorial weekend sale! You can find Memorial Weekend Sale at most major establishments - car sales, mattress sales, home improvemnet store sales and most importantly, for me as least, is the sale at JoAnn, my favorite fabric and craft store. Yes, I was there this morning with my discount coupons. I bought several photo frames which were half off, some fabric for a quilt, and some beads for jewlery making. Doug was at his favorite store, Home Depot, looking for stuff he needed for home improvement. As a veteran he was able to take 10% off on any one item he bought at the store. Lest you think, I am only concerned about the sale at JoAnn on this Memorial Day, ... I do want to express my gratitude to those serving in the military, to thank the families who have had sons, daughters, husbands and wives who have paid the ultimate sacrifice in the defence of this country. My thoughts and prayers go to them.